I skipped showing you the poster I got because of its size. You can see it here. Since I order Rinko set I got her poster. 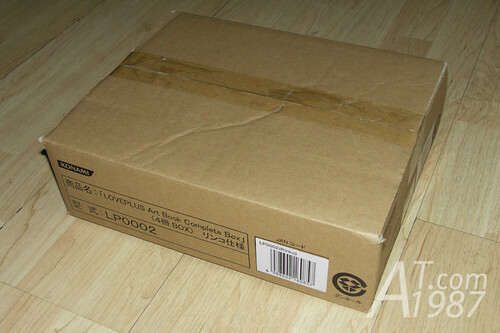 Let’s see the art books which are in the carton box. 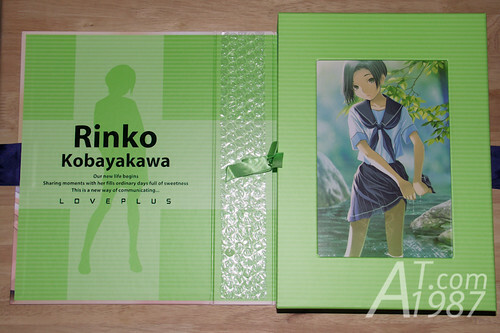 Here’s LOVEPLUS Art Book Complete Box Rinko version, 3D clear file with AR marker inside. Also they don’t forget to put the Love Plus Visa card leaflet. 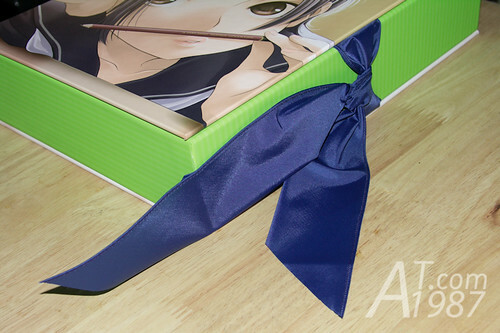 On the side of the box there is the tied sailor scarf. It’s very hard to tie it back beautifully. 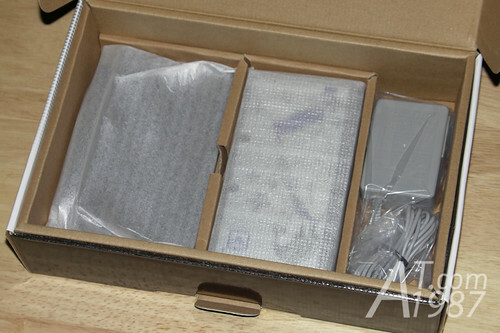 Konami use the foam sheet and air bubble bag to protect the books and inside of the box. Thumb up for you! Tied ribbon again. You can pull the ribbon under the books for pick the books easier after you untie it. 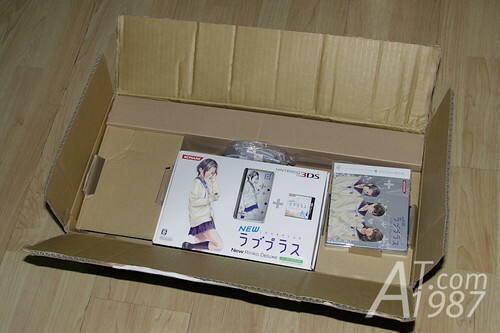 For those who ordered Artbook Set at KonamiStyle or other stores will get LovePlus Select Box instead. 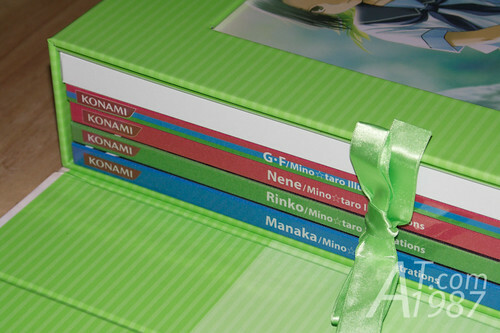 It contains G・F/Mino☆taro Illustrations and (your chosen heroine) /Mino☆taro Illustrations only. 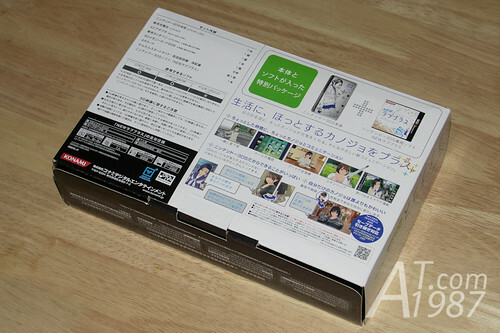 The white box is the fill-in for New LOVEPLUS collection of pictures which will be released this month. Let’s see the other items. 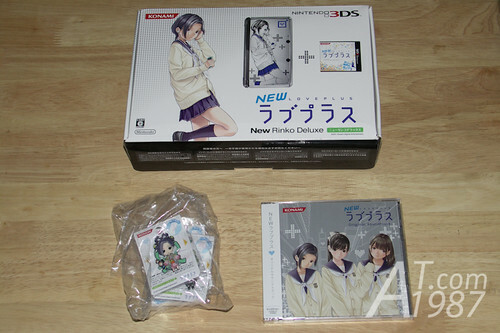 New LOVEPLUS Rinko Deluxe, Soundtrack CD and 4 random Rinko province LOVEPLUS+ charm pins. 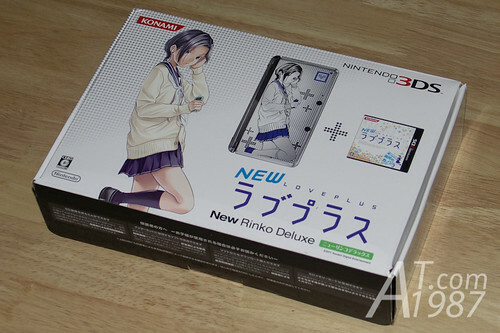 The New LOVEPLUS Rinko Deluxe contains Rinko Nintendo 3DS and New LOVEPLUS cartridge. Description of the game on the back side. Open the box. 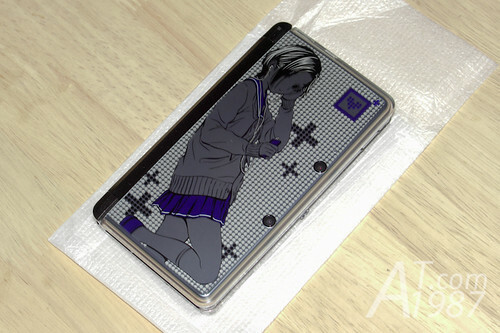 You will see New LOVEPLUS cartridge. Nothing special. 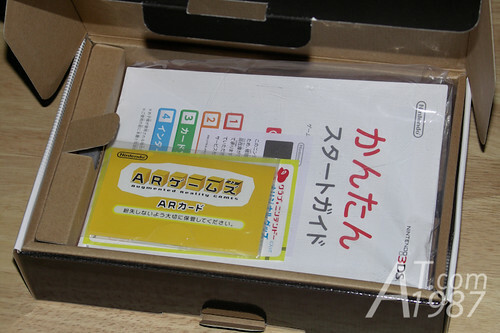 Next is the Nintendo 3DS manual and AR card. 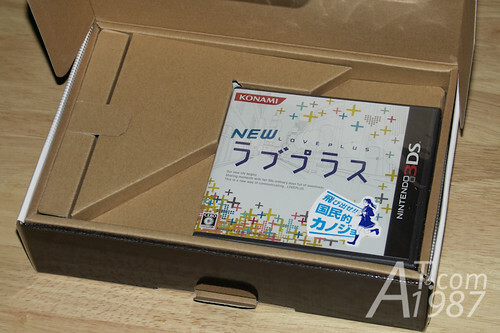 It’s the same as the one in the normal 3DS box. At the bottom of the box. 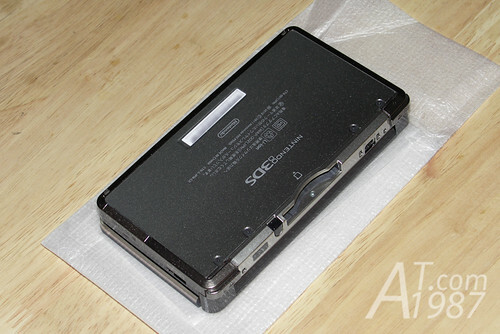 There is charging cradle, Rinko Nintendo 3DS and 110 V power adapter. Except the 3DS. 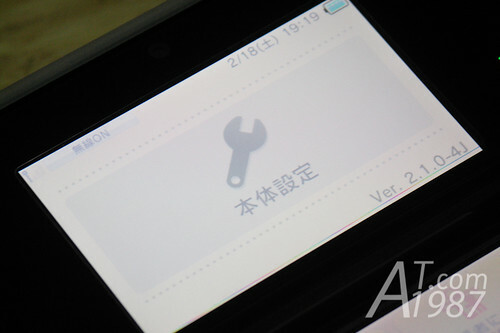 Everything are the same as normal 3DS. The body color is Cosmo Black but the lid has Rinko pattern on it. See the side of the lid. You will see the two layers of it. 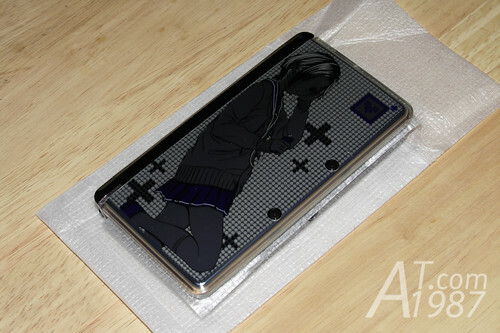 First is clear plastic and second is the silver pattern layer. 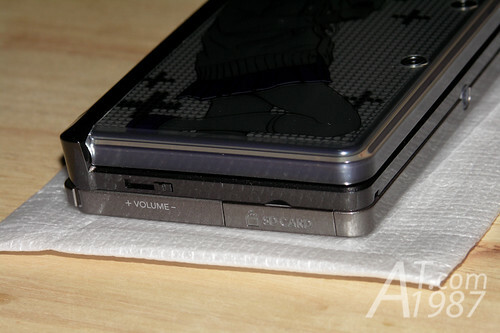 The same as earlier LOVEPLUS+ Nintendo DSi LL consoles I reviewed. Nothing special at the bottom. 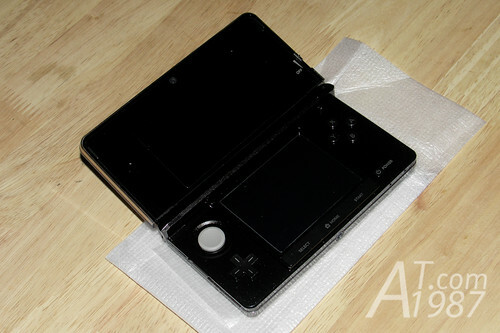 I think it’s very hard to take the photo of this 3DS since the background of the pattern is like mirror. The photo looks bad in my opinion but if you see the real thing, it’s the one of the most beautiful limited edition Nintendo 3DS so far. The pattern is separated into many layers to form the 3D look alike pattern. You will see the body of Rinko floats from the background. Even Rinko herself is separated into multiple layers too such as hair, eyes, school uniform, etc. 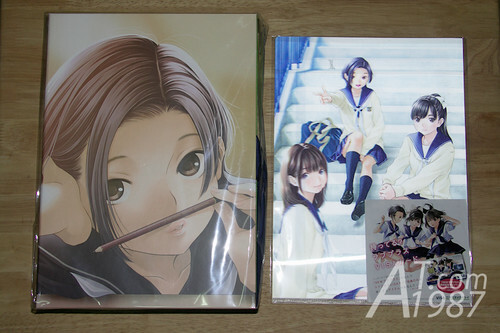 If you can afford it, this bundle is the best for LOVEPLUS fan especially Rinko fan. For those who want to buy the game only or related accessories. Play-Asia is the good source for you.